We’d love your help. Let us know what’s wrong with this preview of Better Homes and Gardens New Cook Book by Better Homes and Gardens. 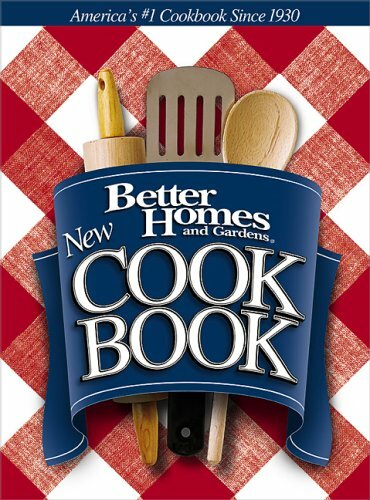 To ask other readers questions about Better Homes and Gardens New Cook Book, please sign up. Joseph Dias Jr I can't get the books I want to read. Why? Looking for a recipe on page 130. It is the Spanish tomato rice or tomato Spanish rice it is made with bacon. Does any one have this recpe from this book? Best cookbook for beginners. It has all the classic instructions and recipes that a new cook needs. A MUST have in any kitchen. The 3-ring binder version is by far the best. I've found the majority of recipes in this new edition bland and flavorless, totally unlike my mom's edition from the late 60's. The low-fat, low-salt movement has taken its toll on this classic kitchen staple. For what it's worth, I cook with as little salt as I can get away with, but when you don't put any salt at all into a pie crust - eww. My suggestion is to search Goodwill or second-hand book stores for one of those earlier editions. You can always adjust the ingredients to suit a special d I've found the majority of recipes in this new edition bland and flavorless, totally unlike my mom's edition from the late 60's. The low-fat, low-salt movement has taken its toll on this classic kitchen staple. My suggestion is to search Goodwill or second-hand book stores for one of those earlier editions. You can always adjust the ingredients to suit a special diet. I think My Mom gave me this one as a graduation present. It's not quite as good as having her in the kitchen with me, but the recipes remind me of childhood: 3-bean salad, cowboy coffee cake, corn chowder, snickerdoodles, spanish rice and all the candy and canning recipes My Mom has a knack for and I usually don't have the guts to try on my own. I love how they keep coming out with new versions of the "New Cookbook" and this version is extra special because of the section with "All-Time Favorite I think My Mom gave me this one as a graduation present. It's not quite as good as having her in the kitchen with me, but the recipes remind me of childhood: 3-bean salad, cowboy coffee cake, corn chowder, snickerdoodles, spanish rice and all the candy and canning recipes My Mom has a knack for and I usually don't have the guts to try on my own. I love how they keep coming out with new versions of the "New Cookbook" and this version is extra special because of the section with "All-Time Favorites". It's like looking through some of My Mom's old editions. The thing about the book is that all the things it's really good to know are in there from how many teaspoons are in a tablespoon (3) to what to substitute if your recipe calls for baking powder and you happen to be out. This is my go to book for baking, it has the best recipes for peanut butter cookies, ginger snaps, and fruit crisps. It also is a great cook book to have if you don't want to have 10 cook books (like I do) and it has enough of a variety to be your "only" cookbook, as these are tried and true recipes. The one downfall is that it doesn't have many ethnic or alternative (non-meat) recipes, so you'll have to go elsewhere for that. Below it asks what the date is this book was finished being read - are you kidding - not for four generations that I know of yet. 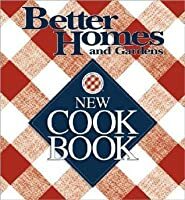 I have had multiple copies of this book over the years, occasionally changing editions for updated recipes. It has always been a favorite. This cookbook is excellent for a beginner cook. It explains the basics. I also have to admit that I love my 1970 edition better than the newer version. These recipes remind you of good times spent with family and friends. For me they were the beginning of cooking on my own. I now have many cookbooks and have evolved in my culinary skills. Just like fashion in clothes, fashion in food evolves constantly. But it's nice to hang on to our roots. 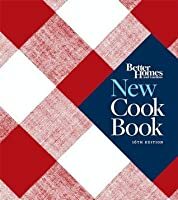 I still refer to the Better Homes and Gardens Cook Boo This cookbook is excellent for a beginner cook. It explains the basics. I also have to admit that I love my 1970 edition better than the newer version. This was my mom’s go-to cookbook when I was growing up. From it, I baked all of my first pies and quick breads when I was learning to cook as a young adult. It has some useful references (like how long to cook meat, measuring conversions, etc.). While I don’t cook these recipes all that frequently now, my cookbook collection wouldn’t feel complete without the trademark white and red checkered cover. 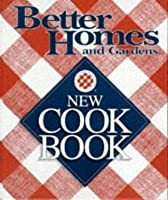 Most of the recipies are fine, but a few times I've tried to make a breakfast dish and the oven temperature or baking time is WAY off, enough so that I got frustrated continuing to buy ingredients and make things for my family from this book that I let my golden retriever shred it. My most used cookbook, EVER. Though the recipes are simple, pretty much anything I can think of to cook or bake is in there. I recently had to buy a new copy since my first one was literally falling apart! My all time favorite cookbook...but I have a 30 year old version. Love the old school recipes. Tonight: homemade pound cake! I've had this book since the 1981 edition came out and still use it occasionally even though it's falling apart. Also, I loathe cooking. This was THE cook book in my mother's kitchen. The brownie recipe is everyone's old favorite just the way it is. I remember leafing through it on quiet days and imagining the meals I could cook. I don't currently own a copy, but I should add it to my collection. Great for a beginner with explanations of techniques and terms at the beginning. The book has been in family for ages though I have a later edition than the one my mother used. Very simple and easy to follow. General over all. I like the glossy photos, but prefer the recipes in the older version. A great updated version of an old standard. My favorite cookbook. I just have 2. I have the 15th edition spiral bound book from 2010. This is an old standby cookbook for all cooks. There is just about any basic recipe in this book. Was a wedding gift. Great book with wonderful helpful tips and recipes.